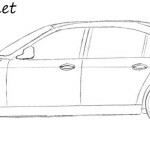 Hello everybody and welcome to the drawing tutorial on how to draw a Bentley. 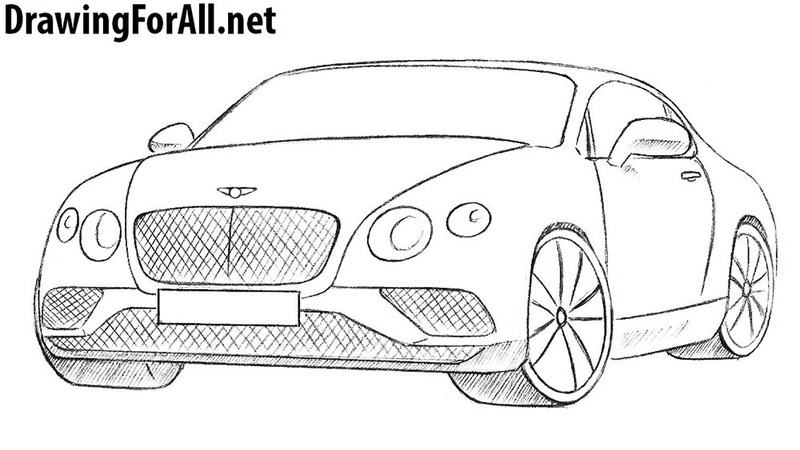 As you know, Bentley is a British automotive company specializing in the manufacture of luxury cars. 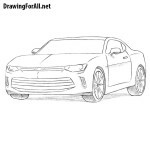 As we always do, first of all we will sketch out the main iutlines of our car. So sketch out lower part of the car and then the roof. 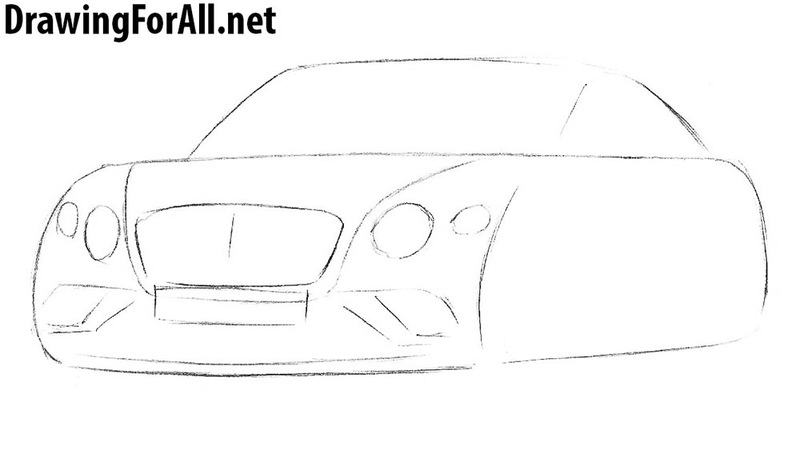 Now let’s sketch out some details in the front of the car, such as the grille, the hood line and the headlights. 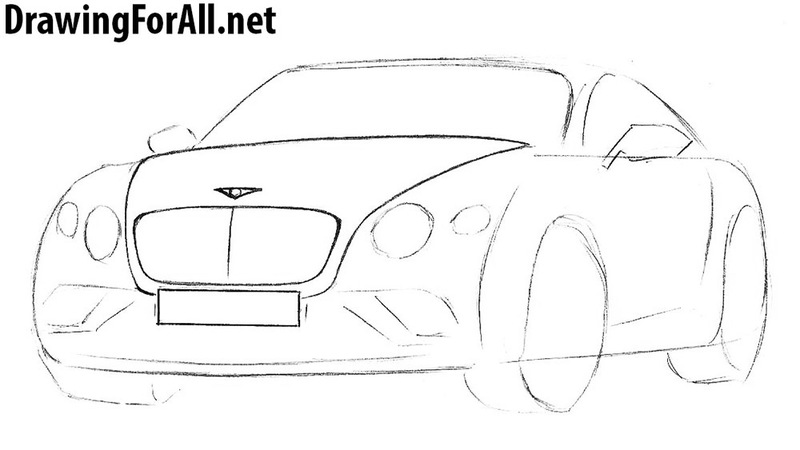 Using very light lines as in previous step sketch out the windows, mirrors, the door line and the wheels. 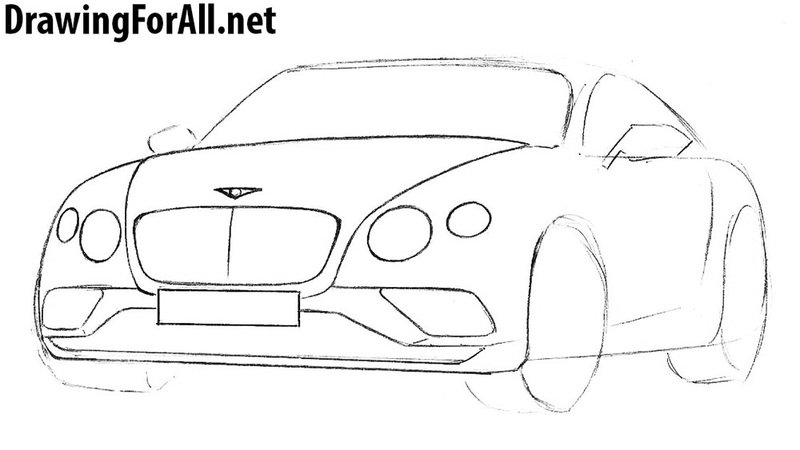 Now let’s start adding details to our Bentley. 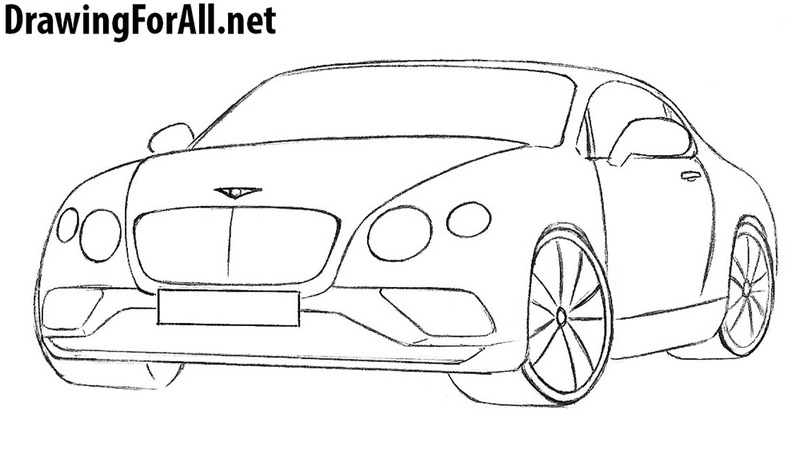 Using clear lines draw out the line of the bonnet, the outlines of the radiator grille, the registration plate and the Bentley emblem. 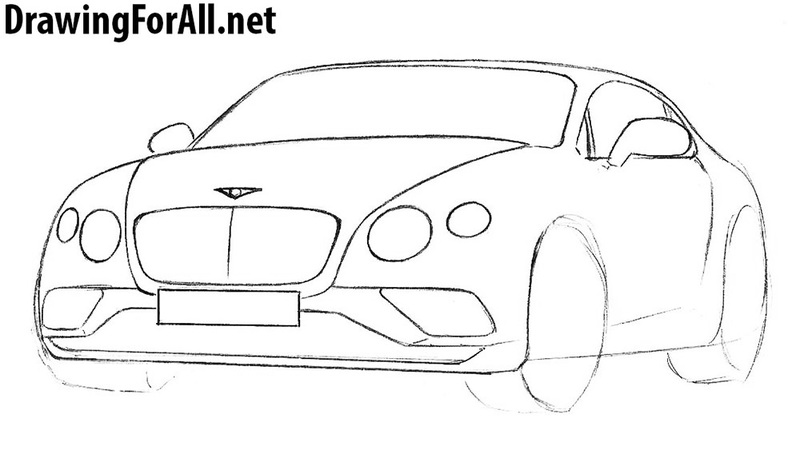 Continue drawing the Bentley. 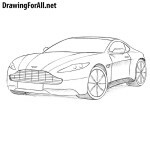 Draw the oval headlights, the bottom of the radiator grille and the bumper. 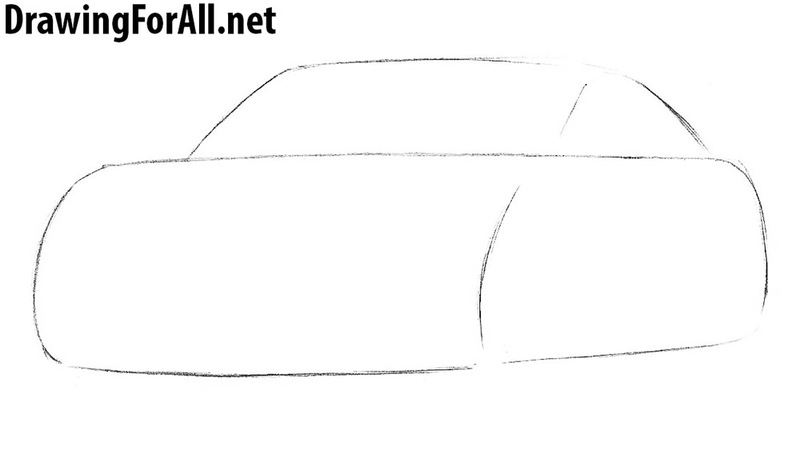 Draw the roof of the car with smooth lines. Draw windows and mirrors as in our example. Carefully draw out the rear part of the car with smooth lines. Draw the door and handle. Then sketch out the wheels with the help of ovals. 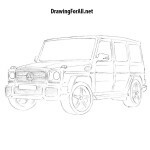 All we have left is to draw the wheel rims. In our example they look like classic spoke wheels, but you can certainly choose any other shape. Using cross lines draw the texture of the radiator grille. Add shadows using classic hatching. 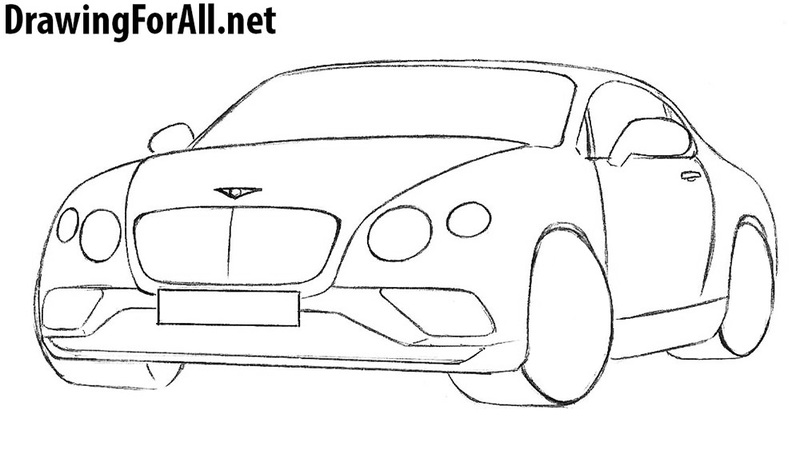 Drawing tutorial on how to draw a Bentley Continental is over. Along with such automobile companies as Rolls Royce, BMW and Mercedes-Benz Bentley was founded in the early 20th century and to this day is a symbol of style and quality in the automotive industry. 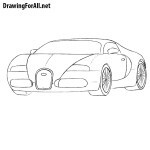 You can draw these and many other cars if you visit the category “Cars” on our website. 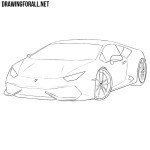 To help our site just share this drawing lesson and subscribe to us on social networks.